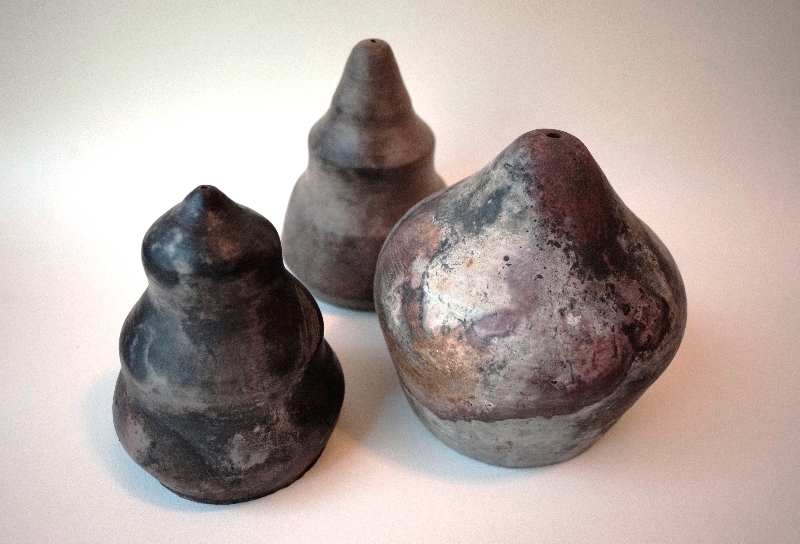 These forms were fired in an open pit fire on Ocean Beach with Tom Decker and the Fort Mason Ceramics Guild. 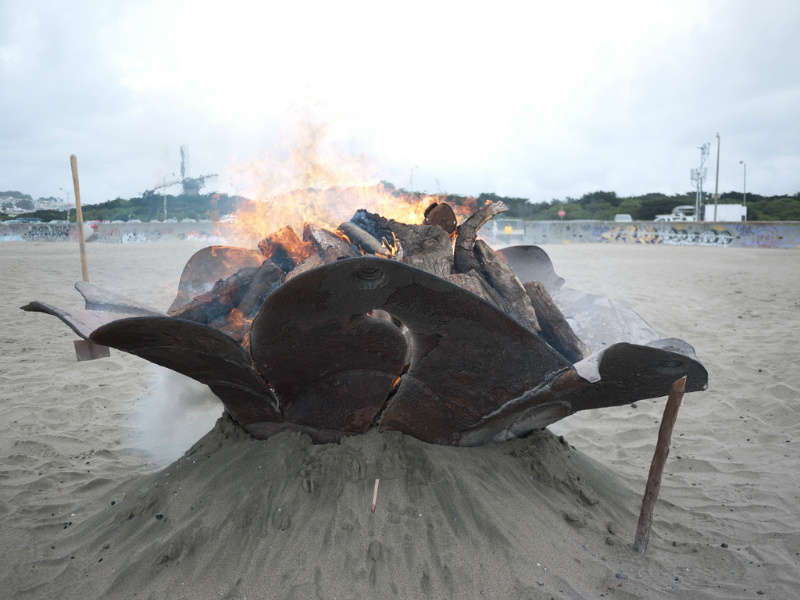 The fire pits were created by metal artists in San Francisco to preserve the tradition of fires on Ocean Beach. 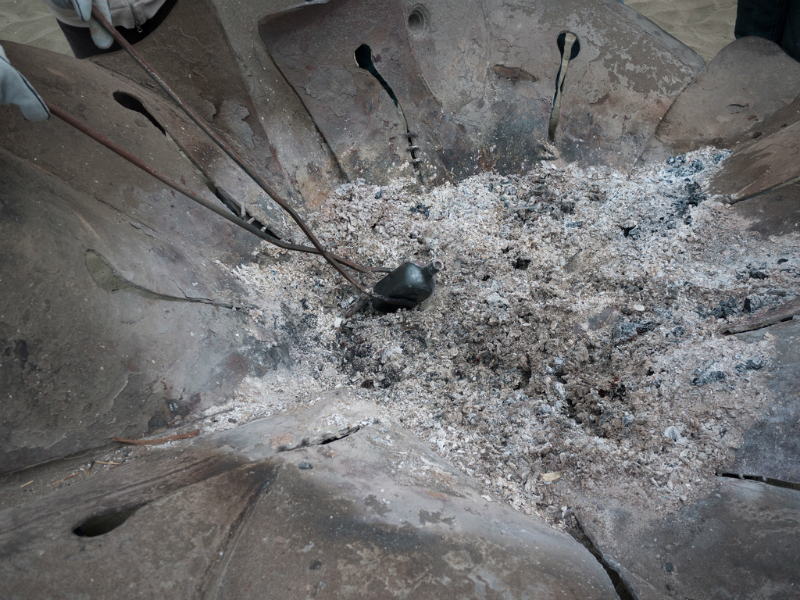 Because this firing was done in a raised pit instead of a sunken pit, the firing goes much faster and has greater thermal shock. The pieces are set on a cushion of saw dust and copper and iron for coloring. Then everything is covered with wood and set aflame. 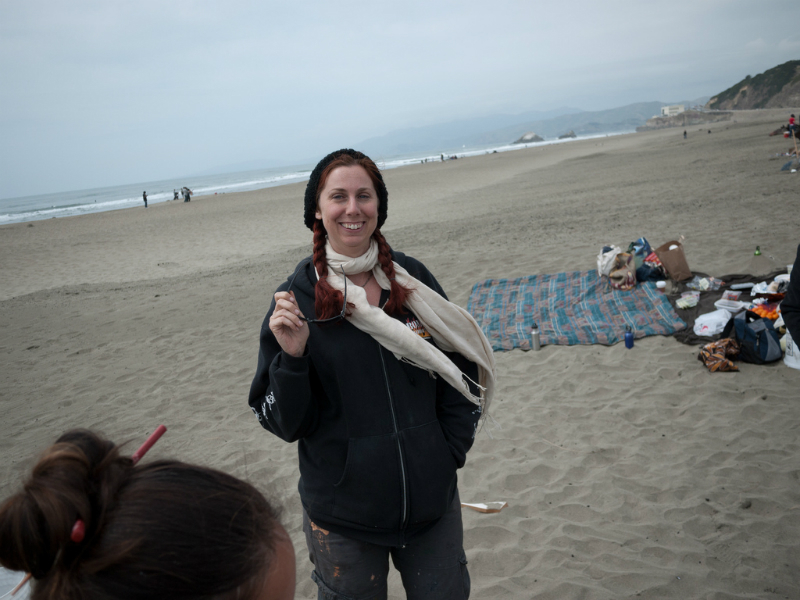 As the fire burns down, the pit fired pieces emerge from the fire. It is an exciting and communal way to finish thrown ware.